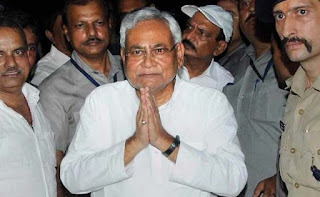 Chief Minister of Bihar, Nitish Kumar resigned and will now form Govt. with BJP. Madaras High Court Orderd, Vande Matram Sung in T.N. A Madras High Court judge on Tuesday ordered Vande Mataram to be played and sung in all schools, colleges, universities and other educational institutions in Tamil Nadu at least once a week — preferably on Monday or Friday. Justice M.V. Muralidaran also directed that the song be played and sung in all government offices and institutions, private companies, factories and industries at least once a month. Scientist Discovered New Species of Giantic Ocean Sunfish. It is a iconic ocean sunfish. Microsoft Paint get New Home. After the massive support that poured in for MS Paint after it was reported that Microsoft was ‘killing’ the 32-year-old app, the company has clarified that Paint will have a new home in the Windows Store, where it will be available for free. The newer Paint 3D will get feature updates.